System development can be done with non-programming! It is a tool that can develop Web applications in a short time using Excel. The CloudSheetⅡ will solve your problem. There is no professional IT staff. Want to IT but there is no budget. There is no package software that matched our company. A unique system is required. Want to make more improvements now. Want to reduce the maintenance cost of the system. The application is completed only by Excel design. It can be used anywhere on the cloud server. Development can be redone with Agile method. We are preparing for development support. We are preparing for training support. 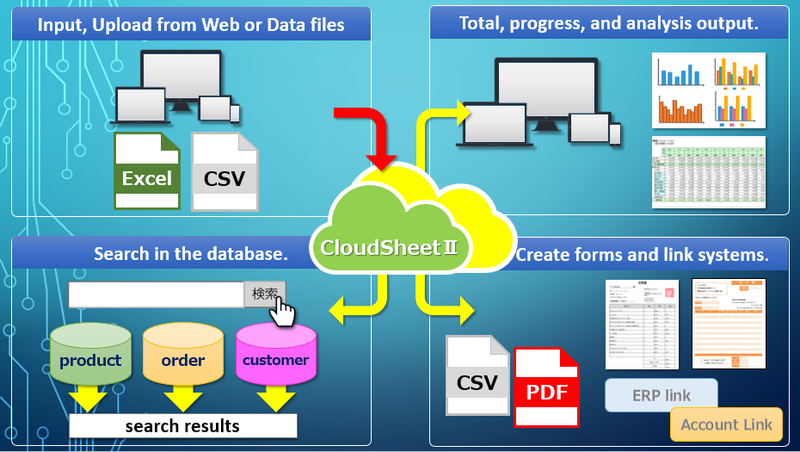 Let's all make use of CloudSheetⅡ ! !